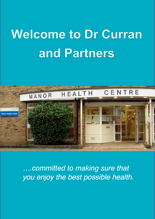 All patients registered at Dr Curran & Partners have a named doctor who has overall responsibility for your care and support. Your registered GP is also your named accountable and your allocated GP. Your allocated GP will be responsible for the provision of your healthcare. If you choose to see another doctor at the surgery you are entirely free to go on doing so exactly as before. 1 x Photo identification (eg Passport or Driving Licence). All registration forms can be downloaded from the Registration Forms section of this page, or ask reception for a paper copies. 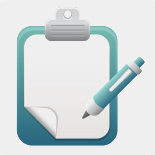 Once we receive your forms we can book you a new patient appointment at the surgery with our health care assistant. We will measure your height, weight and blood pressure during your new patient appointment. Please note if you are registering a child below the age of 7 years old please ensure that you bring a copy of the child's red book or immunisation history, so that we can take a copy for our records. 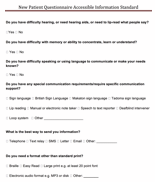 This booklet is designed to help you make the best use of the services that we provide. We aim to work as a team and hope that you find us caring, efficient and friendly. You need to register your new baby at the practice as soon as possible. Therefore please complete a GMS1 Registration Form (See Registrations form section) and send it to your surgery. Please ensure you provide your baby’s NHS Number which will be detailed in their Red Book. 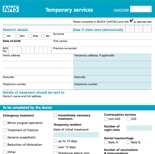 Once we have received the form we will register your baby as a patient at this Practice. 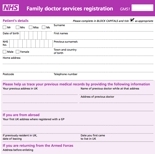 To register you will need to complete our Temporary Resident Registration form (GMS 3) which is available from reception, or can be downloaded from the Registration forms section of this page.